Cecilia, my 8-year-old, came home this week with a packet of work she completed in 3rd grade. 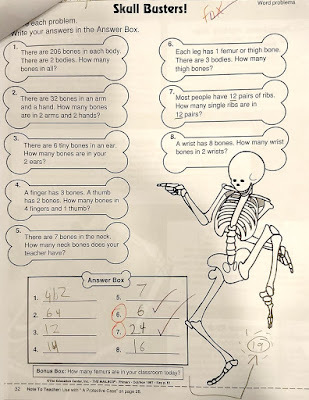 One worksheet attempted to teach them about the bones in the human body through math, which is pretty cool. 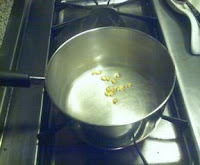 But I noticed an error. Can you spot the incorrect question(s)? Do...do they think there is a bone similar to the patella in the arm? 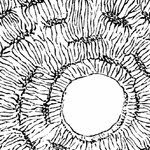 Or are they counting the clavicle and scapula as belonging to the arm? I only get 30 arm bones. 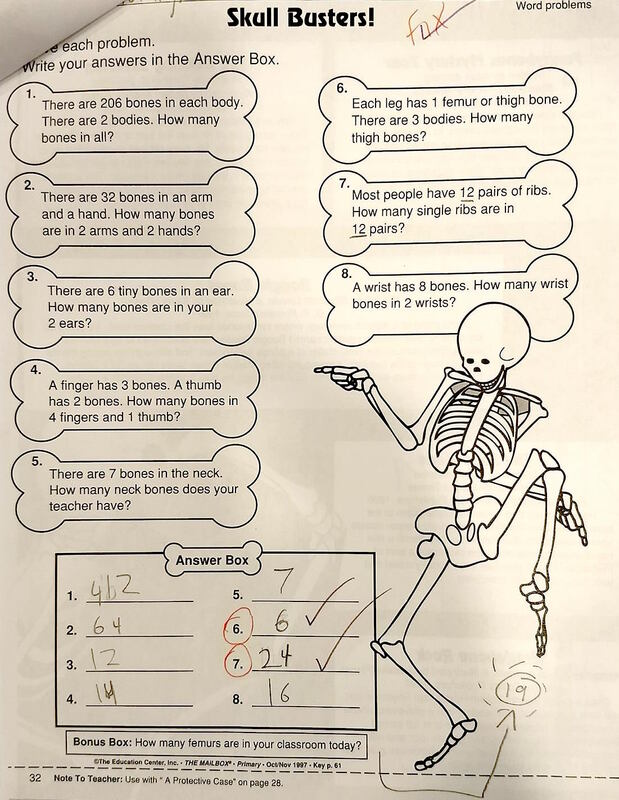 I wouldn't know how many bones in which part of the body, but according to the sheet 1 femur in each leg, so how many people in a room would end up with an even number, yes? So the answer to the bonus question of "19"...is there someone missing a leg? Or did someone bring in an extra femur for maths with bones? Oh, hah, my kid wrote 19 because there are 19 students in her class, and she misunderstood the question!